You know that feeling when Friday hits? That anxious, giddy, happiness that the weekend is just on the horizon? That's "that Friday feeling". A new lil' series of bubbly-bursting-at-the-seams-excited photos posted on Fridays. Things that are just plain inspiring. Like buildings covered in balloons! 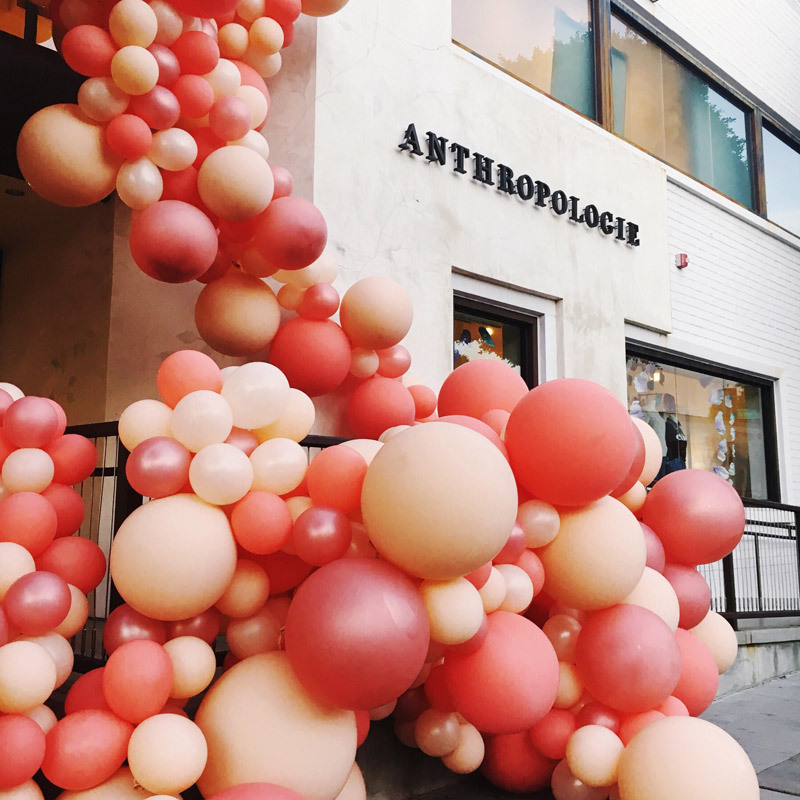 Last night, I heard that Geronimo had a new balloon installation at Anthropologie on Beverly Dr. (my old 'hood). So we woke up a bit early and drove the extra 5 minutes to our old Starbucks as an excuse to see these balloons in person! Here's hoping your day is filled with coffee, glittery shoes and excessive amounts of balloons. Was inspired by stars and confetti today, so here's a few photos and words. I finally watched IRIS, the documentary on Iris Apfel. What a woman! 👓 💄 Such a character/creative mind and brilliant collector. Inspiring for sure. Here's a doodle of my favorite quote from the doc. I've been eyeing this wall hanging by Karen Kimmel for a while now. The colors and shapes used are a fantastic combo! I just had to use it on something. I rounded up the closest colored nail polishes I had and went freestyle on my nails. Starting with a yellow base (obv. because it's my favorite color), I swooped polish over not afraid of going onto my fingers. Lots of remover was used around the edges, but the method made for a super playful nail design! Welcome to the second installation of "Side By Side"; where I find artwork/images that were pretty much made for each other, and bring them together for a dash of inspiration. Sort of like a creative double date.